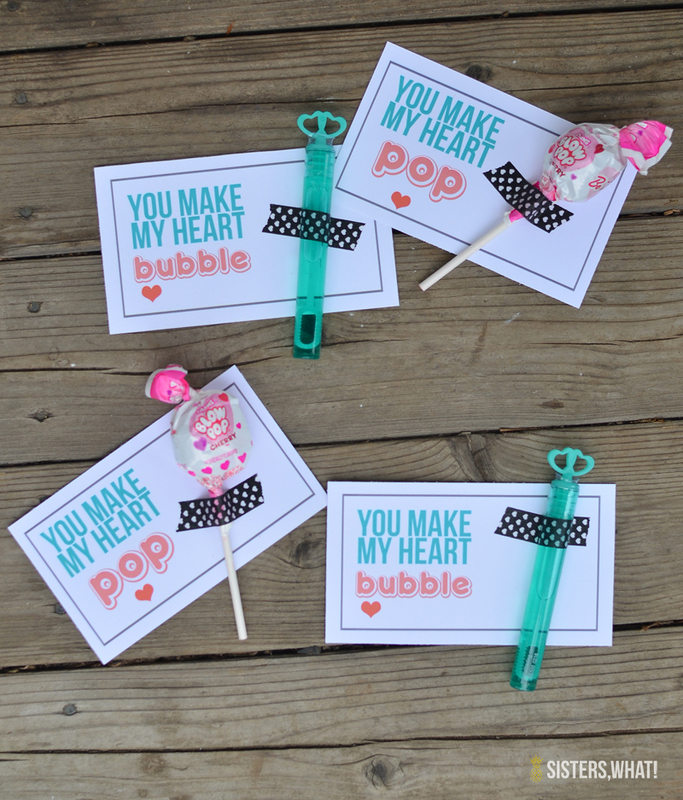 ' Bubbles, Blow Pop and Airplane Valentines - Free Printables - Sisters, What! 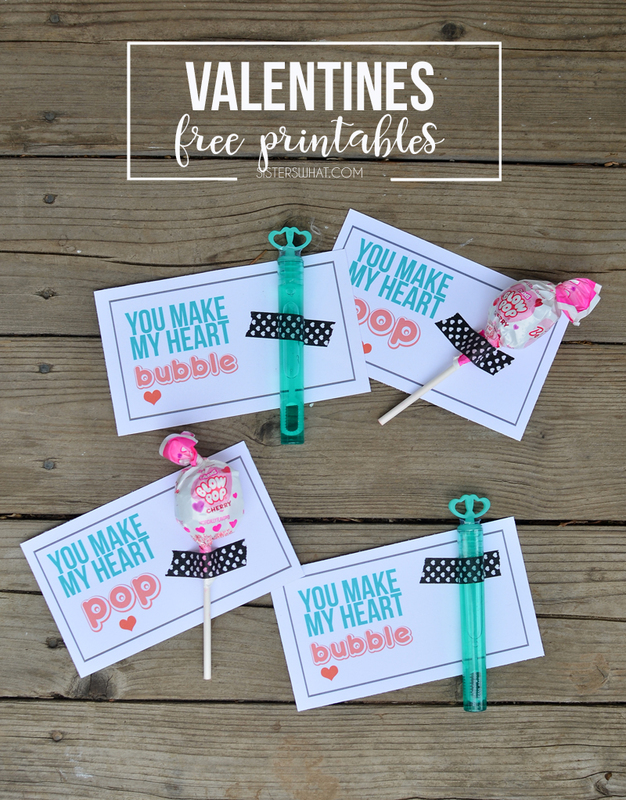 These Valentine's include a free printable with fun sayings to go with fun toys and treats; perfect for your little ones friends. Thanks to Oriental Trading for supplying the toys and treats. 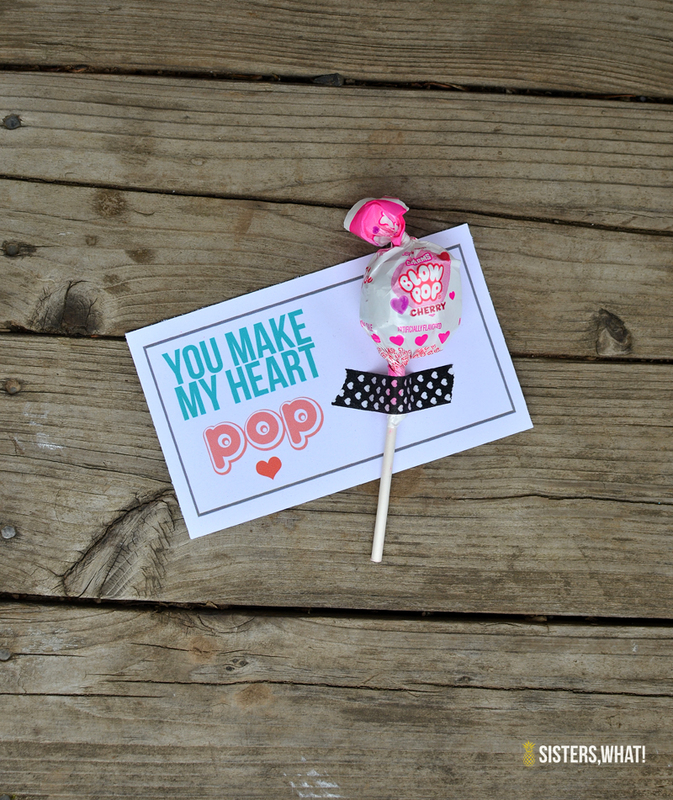 Since having little ones grow big enough to give Valentines, I have loved helping them with their Valentines. 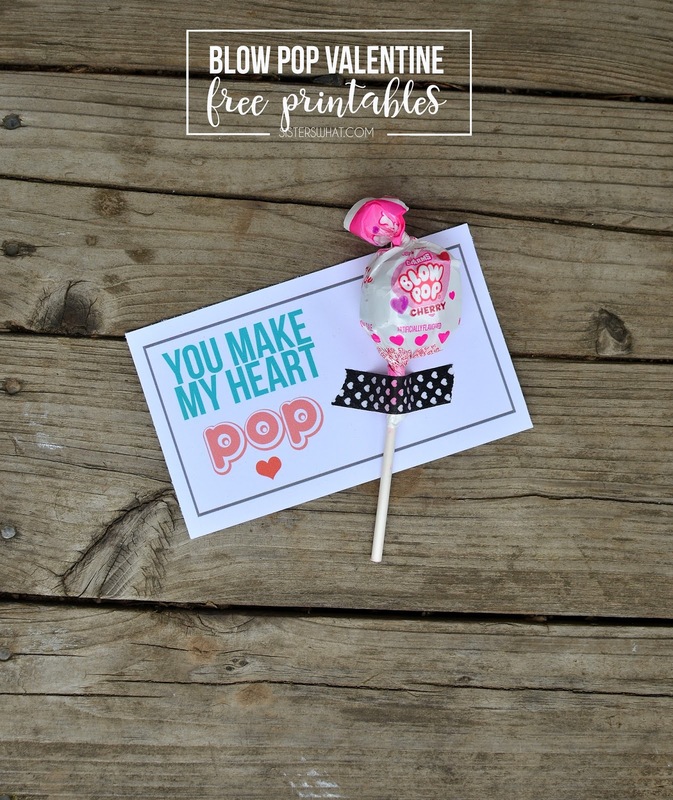 While we do make many valentine's for others that our hand drawn and cut out, we also make some fun clever saying ones to go with a treat they have picked out. Honestly though, they really don't understand how clever they are, but love them so win win for both of us :). 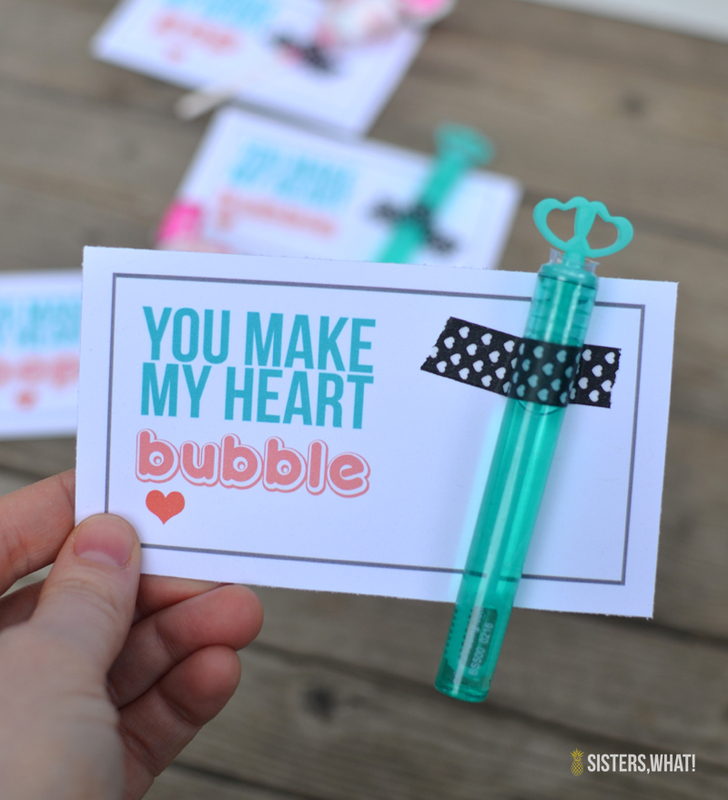 My 3 year old picked out bubbles and blow pops. I was just going to put them on the same card, but I just had to do two separate ones, just because. 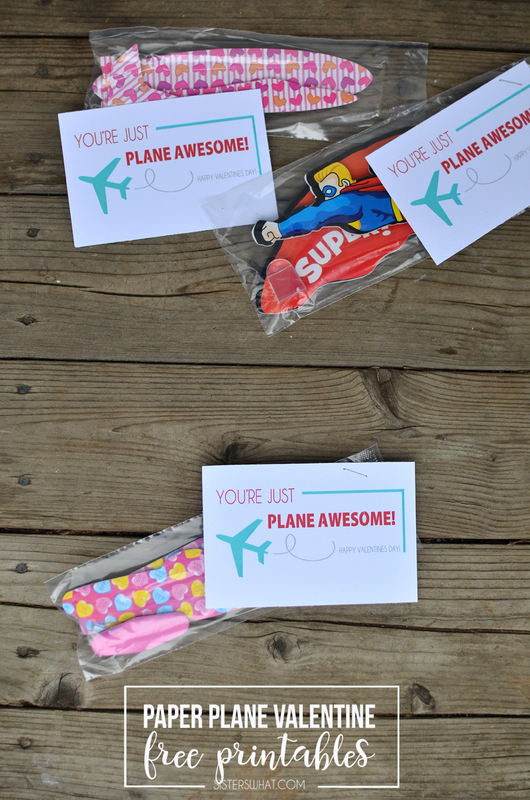 My 6 year old picked out paper airplanes/glider (of course) which were really fun valentines to make. 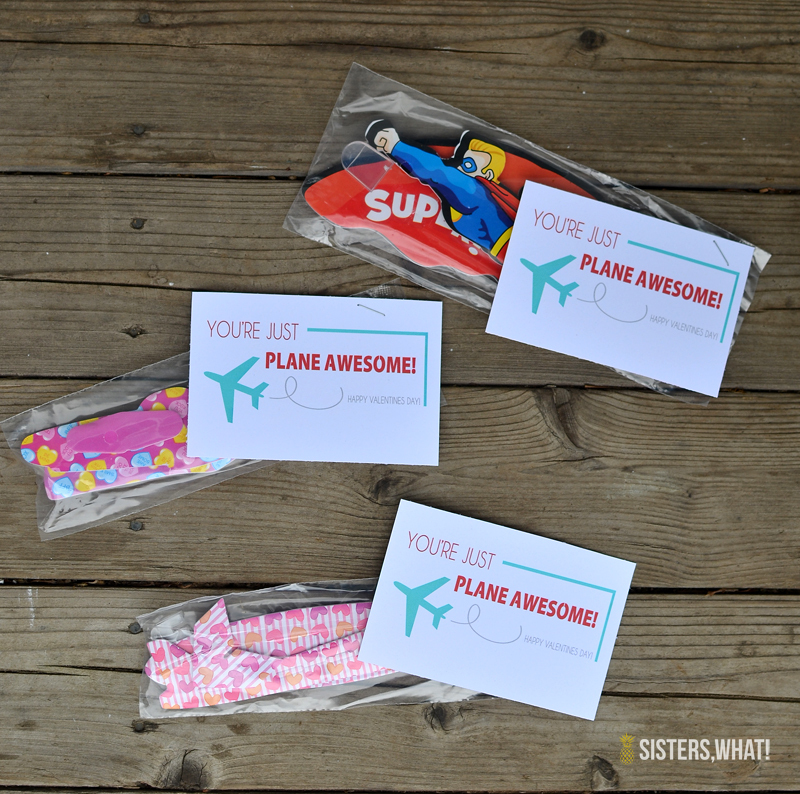 "You're Just Plane Awesome! 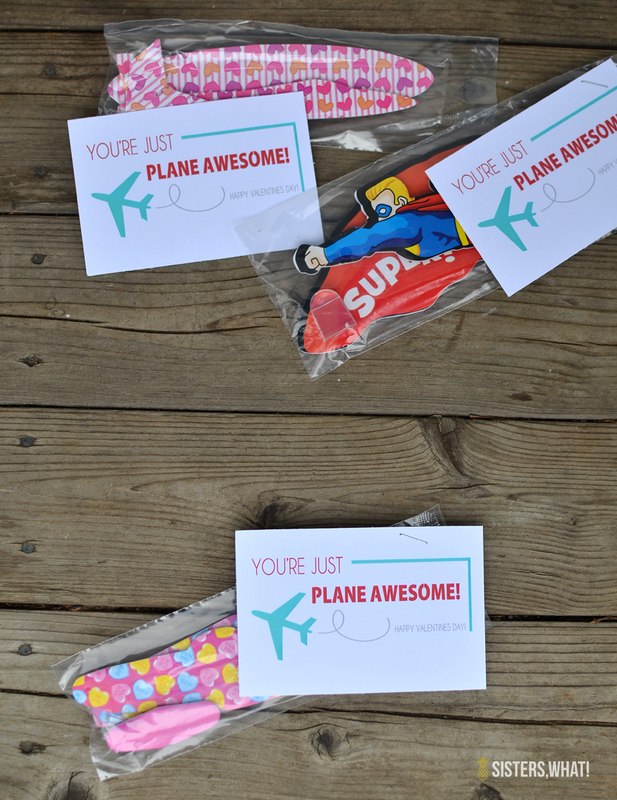 "...talk about an awesome play one words.